It has been about five months since I began working for Parkway Business Solutions. Parkway is a cloud-based accounting firm that consists of three people – two executive partners and one assistant (me) – taking care of 45 companies. But, let’s start from the beginning. I recently graduated in 2015 with a bachelor of science degree in business. I married my high school sweetheart that same year, and soon after applied to multiple jobs to get some experience in my field. Around late November 2015, I was hired as an accounting assistant for an accounting department at a major multi-million-dollar company. The department employed about 40 people and consisted of sub-departments, including accounts payable, accounts receivable, tax, charitable contributions and international accounts. Outside of the accounting departments, our company also had an entire team that handled the financial analysis and a complete payroll department. While there were many things that I loved about this amazing opportunity, there were also tasks I would have happily escaped. The least favorite part of the job was filing away PILES AND PILES of invoice payments that were done each week. Day after day, I would tackle the paper mountain, imagining the end was near … only to find another mountain awaiting my attention. They were never-ending. Yes, I had a lot of paper cuts on my hands, fingers and everywhere I thought paper cuts couldn’t exist. The filing was to be done in a giant closet room that had two full walls of filing shelves. It was quite relaxing at times, but now that I think of it, it was a job I would never want to do again in my life. Overall, the team worked hard just to finish month-end for the corporation. While at this job, I became pregnant and decided that after the birth of my son, I would not return. Depending on traffic, the job was about 35-50 from home. I wanted to be closer to my home, where my mother would babysit my son while I worked. He was my priority, so without further thought, I notified my employer that I would not be coming back to work. I took a whole year off just to be with my son and enjoy the moments that were the most special that first year of his life. Fast forward to December 2017 when I decided it was time for me to go back to work. I started applying to a couple jobs, and within the first week, I received a call. It was a business advisory company, which at the time was fully focused on tax work. The manager there was very motivating, always pushing me toward accomplishing my goals. Thanks to his motivation and quite a bit of hard work, I was able to earn my licenses for tax preparation in two weeks. After tax season was over, work slowed down, and it was time for me to find a new job. Luckily, my former boss at my business advisory job connected me to my two current amazing bosses, Matthew Fulton and Mike Snelson. They interviewed me and I was hired. This company gave me a whole different perspective on accounting. As I mentioned above, at Parkway Business Solutions, there are just two partners that do accounting for 45 clients … and counting. On my very first day on the job, I noticed there was only a computer, a keyboard and a mouse on my desk, along with a couple of unsharpened pencils they probably knew I would never need. Like most people on their first day, a lot of time was spent learning where things were kept, a task that also reminded me of what was also missing. Besides the absence of a pencil sharpener of any kind, I quickly noticed the lack of paper on anyone’s desk, most importantly mine. No paper meant no large never-ending stacks of papers to be filed. No closet-based filing system. No paper cuts. And, no 40 people incubated in a warehouse. These two guys were solely completing month-end accounting for 45 companies. Wow! How on earth did my old job need an entire football team to finish accounting for one company, while these guys were completing accounting for 45? It’s mind blowing to think that it’s not a time thing, meaning that I didn’t experience two different decades of accounting to watch it evolve. It was only a one-year gap from the time I left my old job. Both companies are doing the exact same thing, but Parkway is doing it in a modern, technological, short and efficient way that allows them to service all 45 clients, while accepting multiple projects and working on an application. Accounting today does not require an army of people, and Parkway made me realize that this IS the future of accounting. Mary Estrada is an accounting associate with Parkway Business Solutions. 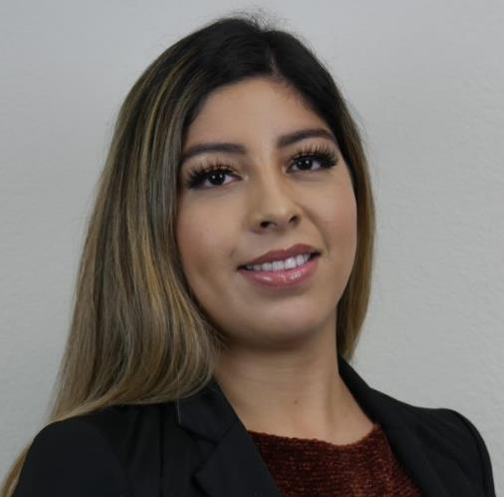 Prior to her introduction to cloud-based accounting, Mary earned her business accounting degree from California State University, Channel Islands. Mary is a proud mother and loved wife, who enjoys spending time with her two men, Aaron and Daniel. During her downtime, Mary also enjoys her hobby, makeup artistry.